I couldn’t resist using the beautiful Skylark Paper Packet to create yet another June Stamp of the Month card, showing it’s versatility. The color scheme for this card included the following colors of papers and inks: Skylark Paper Packet (includes the patterned papers, Juniper cardstock, Sweet Leaf Cardstock, and Kraft cardstock), White Daisy cardstock, Desert Sand ink, Juniper ink, and Sweet Leaf ink. If you take a closer look at the SOTM picture above, you will see that some of the stamp images are outlined in red? That means that those exact images will match one of our Cricut cartridges. Now, take a look at the top, right hand corner of that set, and you will notice that is says, “Art Philosophy.” That means that the outlined images are going to have corresponding shapes on the Cricut Art Philosophy cartridge. Brilliant! 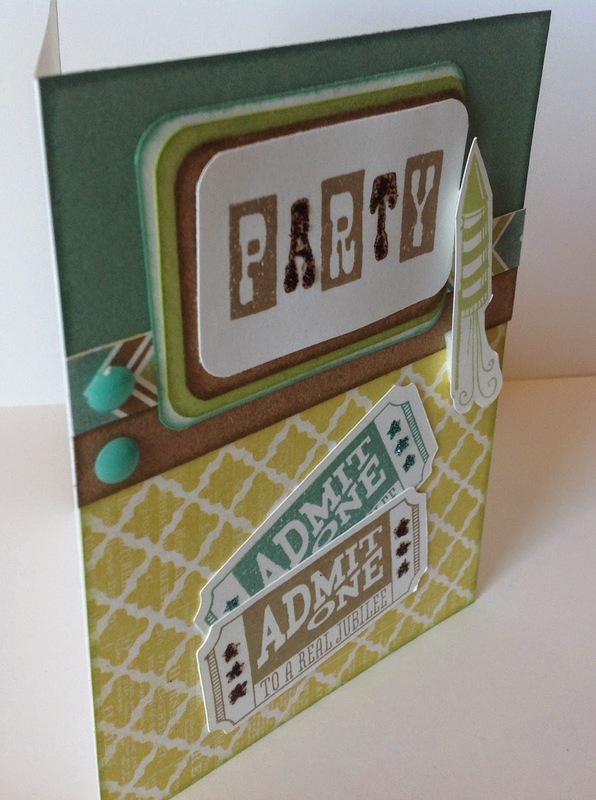 Using the Cricut Art Philosophy cartridge, I cut out the 2 ticket shapes. The “Admit One” stamp image (on the SOTM set) says 1 1/4″ next to the image. That means, if I cut this image out at 1 1/4″ height, it will correspond perfectly with my stamp image. And it did! 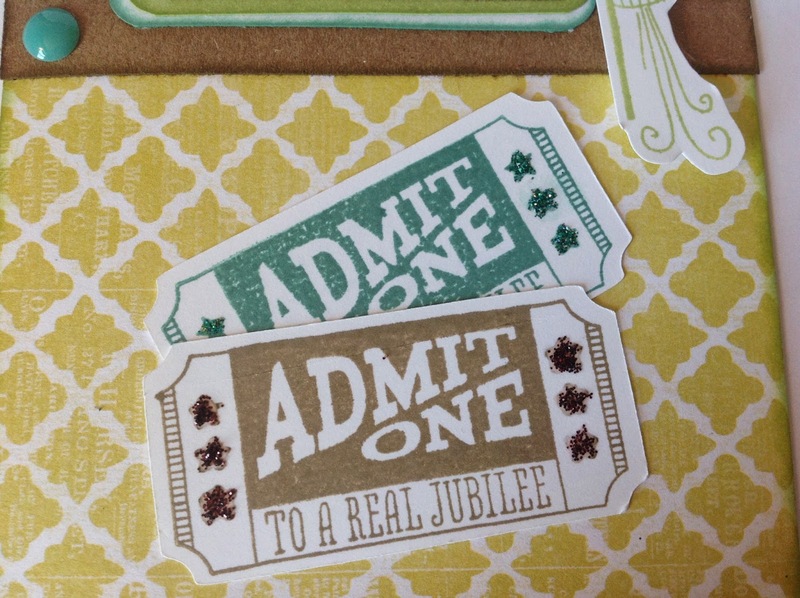 After cutting out the ticket stubs, I stamped the image directly onto each stub; one in Juniper ink and the other in Desert Sand ink. 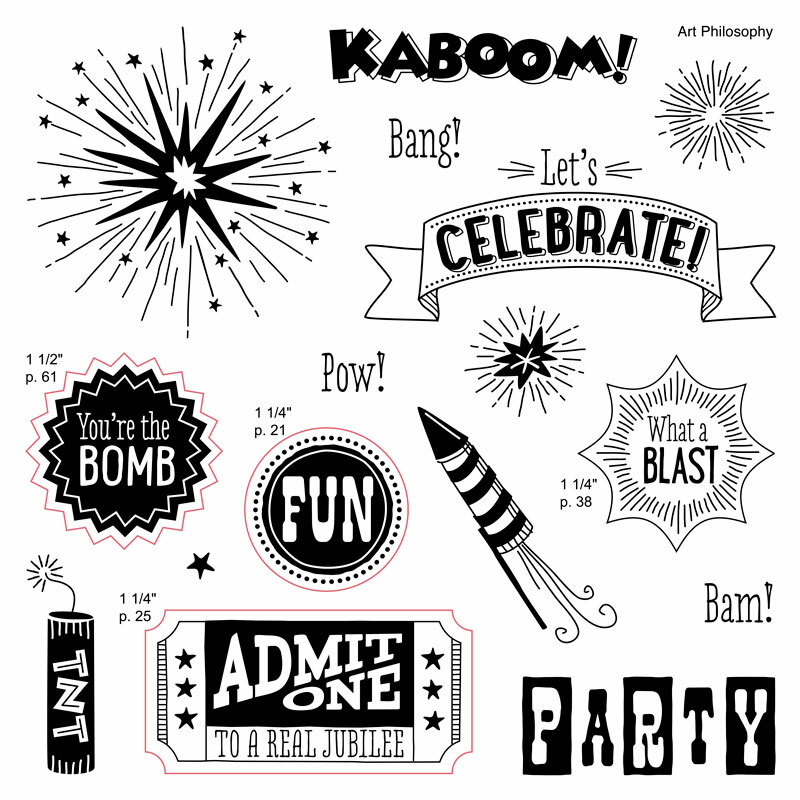 If you do not own the Art Philosophy set, you can stamp your image and then trim around it to resemble a ticket stub. 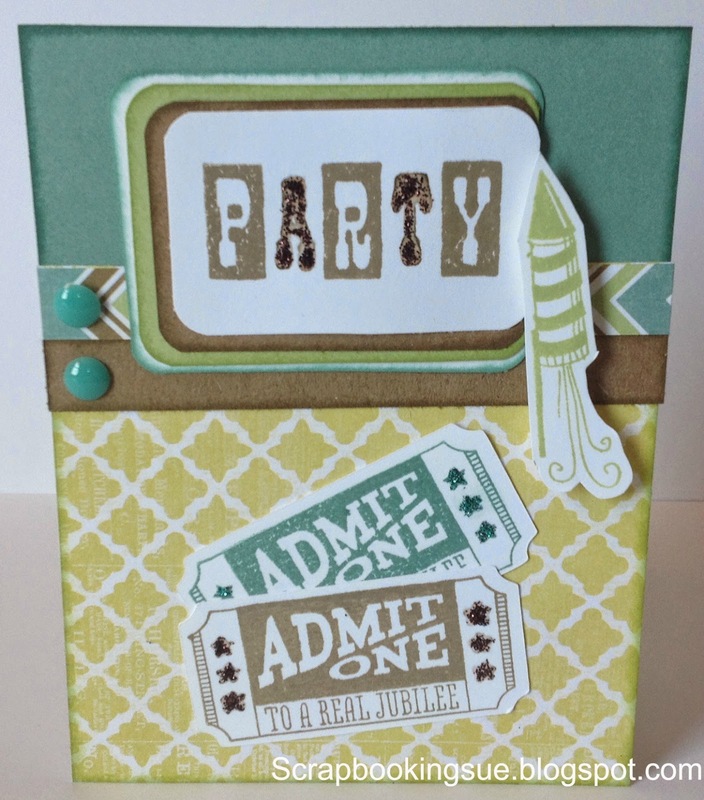 The “Party” sentiment was stamped with Desert Sand ink, and then I added glitter to the “A” and the “T”, as well as the tiny stars on the ticket stubs. The rocket firework was stamped in Sweet Leaf ink and attached with foam tape to make it stand off the page. To finish it off, 2 Aqua Dots were added to the left-hand side. Another spin on one stamp set! By the way, the Skylark Paper Packet featured here, will be retiring in one month (or sooner, on a while supplies last basis)! 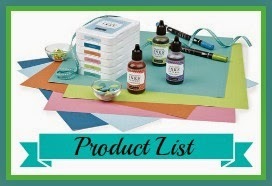 Did you catch my post yesterday about the CTMH Retiring Products List? If not, you can view all of the 2014 retiring products HERE.